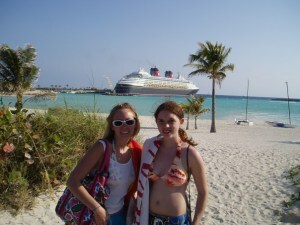 The service you receive on the Disney Cruise Line is quite amazing! I have to say I didn’t think Disney World service could be topped, but I have found the Disney Cruise is even more magical in terms of guest service. I have traveled on multiple cruises and I think my favorite cast member was our Dining Room Server from Taiwan. He was so friendly and every night would ask us, “what can I do to make your day more magical?” My friend joked, “let us have 2 desserts”. Well, needless to say my friend and I got extra desserts each night after that! He also gave us crayon puzzles to solve each night. We were a group of all adults but he stumped us each time! As far as the Stateroom Host/Hostess, I am always amazed by how spotless the staterooms are. They are immaculate even after tracking in sand after a relaxing day enjoying Castaway Cay. Even with all this great service, I have to admit when the tip envelopes arrive on the last night, it sure feels daunting to shell out an average of $48 per person on a 4 night cruise. I want to take a moment to explain this and how you can give generously and not let it be a bump in your day. This is honestly the only thing I have ever had to pay for on the ship besides a few souvenirs. So if you are worried about any hidden fees, it won’t happen on the Disney ships. Dining Room Server – This is your main waiter that you have each night. He/she not only explains the menu, takes your order, and delivers it but also asks about your day, gives advice, and is ready to make extra magic for your party. On my cruises this person often played games with us and was really interactive. I tend to tip this person more than the suggested amount. On a 4 night cruise it is suggested that you tip $16 per guest for the server. Dining Room Assistant Server – This person takes your drink orders and additional requests. On the cruises I have been on this person was great. He/She would remember our drink orders and was very friendly. On a 4 night cruise it is suggested that you tip $12 per guest for the assistant server. Dining Room Head Server – This person is in charge of taking special requests and seeing to the entire dining room section. Honestly on the cruises I have been on this person just stops by and says hello. I can imagine that if you are dealing with food allergies, celebrations, etc this person is more involved. On a 4 night cruise it is suggested that you tip this person $4 per guest. When you start crunching numbers, you might think wow, $32 per person just for dinner service!? This was my husband’s response and this is how I explained it to him. When you think about the meals you receive on the cruise, it is safe to say that each meal would be at least $45 of food per person (drink, appetizer/soup/salad, entrée & dessert). If you tipped the standard 18% that would be around $8 per night so about $32 for the 4 nights. Your one tip would include all of these people. Stateroom Host/Hostess – This person takes care of your stateroom and any housekeeping needs. Something to mention here is that you actually see this person and interact with them unlike at most hotels. They clean your room multiple times per day, put a chocolate on your pillow, and decorate your room with towel animals. It is suggested that on a 4 night cruise you tip your Host/Hostess $16 per guest. Although I feel that paying in advance is great because it is taken care of, I do like adjusting my amount for exceptional guest service. I almost think on my next cruise I will prepay and maybe add a little extra cash to the envelope that you give the crew members. Tipping in this way is all part of the “cruise culture” that you will learn about on your first cruise. The first time I cruised, I was a little sticker shocked when the tipping guide arrived in my stateroom, since we are not accustomed to tipping for multiple meals and services all at once. On subsequent cruises, I really enjoyed presenting my favorite crew members with their tip envelopes the last night on-board. 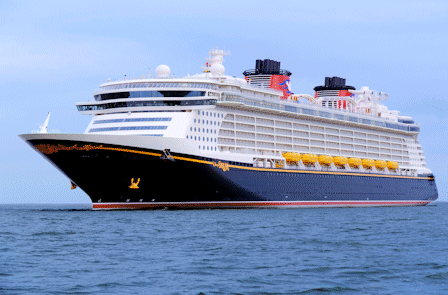 Are you interested in learning more about a Disney Cruise? My services are 100% FREE! Disney Cruise Line – Don’t miss…The Nighttime shows! 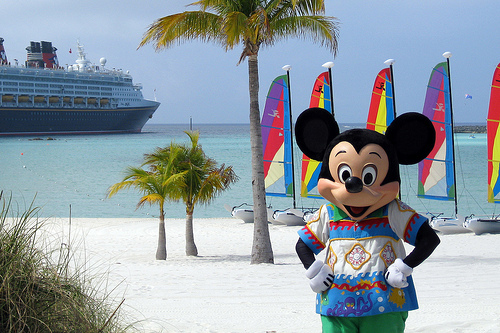 Are you thinking about taking your family on a Disney Cruise? The good news is there is so much to do and experience for kids and adults of all ages! Every night of every sailing on a Disney cruise will feature evening entertainment. 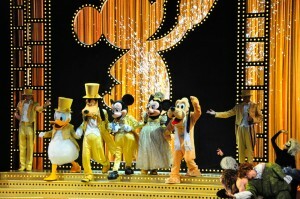 But make sure you note which nights feature one of Disney’s live Broadway style stage shows! These are not to be missed! The shows are spectacular and everyone will appreciate their high quality talent and storylines. Kids and adults alike will enjoy the fun and funny (and often touching, as well!) shows. On the Disney Fantasy, you can enjoy Disney’s Believe, Aladdin—A Musical Spectacular, and Disney Wishes. On the Disney Magic, you’ll find Villains Tonight, Let the Magic Begin, Disney Dreams, Remember the Magic, and Twice Charmed—A Cinderella Story. 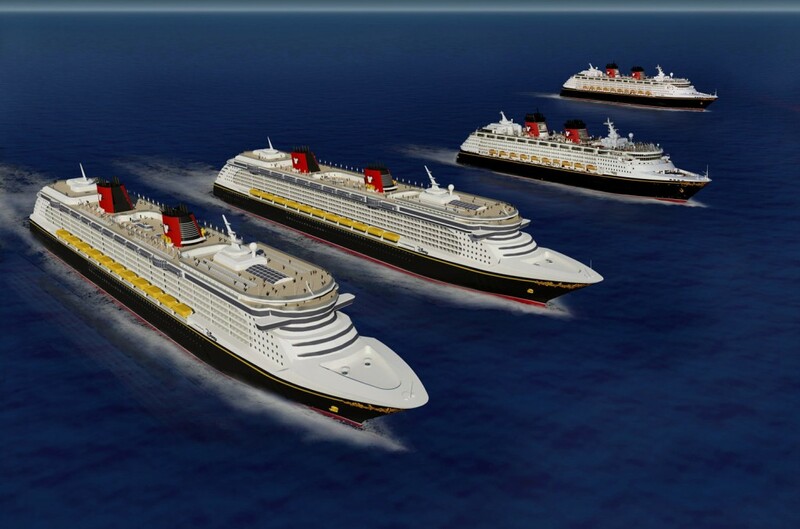 On the Disney Wonder, you’ll enjoy Let the Magic Begin, Disney Dreams, Toy Story—A Musical, and The Golden Mickey’s. These are subject to change and not all shows may be available on every sailing. Shows on a Disney cruise are generally presented at 6:15 and 8:30 pm each evening and they last almost an hour. When you are on board the ship, it’s easy to relax at the pool or in the dining room and forget to check the time, but these shows are worth setting your watch or phone alarm for! You won’t be disappointed!